The crudely named audio company has been in the game for quite some time now having released a myriad of audio solutions for virtually every price point. Built exclusively in the US, Schiit abides by a simply philosophy: to produce high quality and classy products designed for the real world. Their 5-year warranty consolidates this philosophy as Schiit aim for their products to be handed down generations to inevitably stand the test of time. 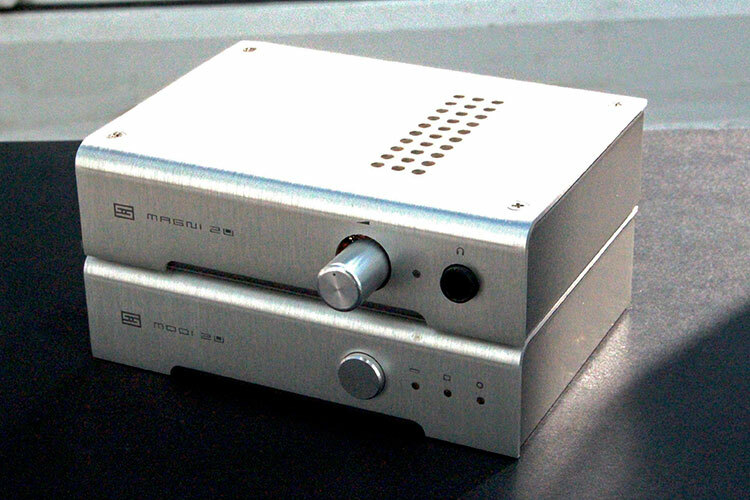 Their recent release: the Schiit Magni 2U (2nd Generation Uber amp) and the Schiit Modi 2U (2nd Generation Uber DAC) has garnered the attention of Schiit’s loyal followers and particular those who have purchased the predecessor versions of these now improved audio devices. Within the improvements, Schiit have now included a pre-amp output, higher power supply and a stunningly brushed aluminium finish in the Magni 2 Uber. The ‘Uber’ addition also improves upon the 2nd Generation Magni by introducing a better and more refined gain switch providing similar power levels as the Asgard 2 to drive an even wider range of headphones. The Modi 2 Uber also improves on the Modi 2 by offering optical and coax inputs as well as the standard USB ports. These ports can be selected for by clicking the button of the newly included input selection switch. Priced at $300, the Schiit stack offers a more affordable way to bring the best out of your current headphone and IEM collection. Like the Cloud Nine, there is really not much to say about the packaging that the Magni 2U + Modi 2U come in except for the fact that each item is packaged in a minimal white cardboard box. In terms of accessories, the Schiit stack comes with each of their respective power adapters which come in different versions that you can opt for: the UK, US, Australian and Euro plugs. RCA/phono cables need to be purchased separately and because the headphone connector on the Magni 2U is a 6.35 mm jack, a 6.35 mm to 3.5 mm adaptor should also be bought for the intentions of connecting standard headphone models. On the topic of design, the newly brushed aluminium chassis of both the Magni 2U and Modi 2U is absolutely stunning and is a real testament to the craftsmanship behind Schiit’s design. It really looks to be a premium product which is one of high quality and build. On the front of the Magni 2U is the potentiometer, a power LED and a headphone jack. The potentiometer is very smooth with moderate levels of force required to rotate it. I did experience minor levels of temporary distortion, however, when the volume was adjusted on the very low volume settings. This was only momentary though and did not really present a significant issue when using this amp. As mentioned, the headphone port utilises a 6.35 mm jack which can be converted to a 3.5 mm jack with the use of an adaptor; this is generally needed for most headphones which come with standard cables. 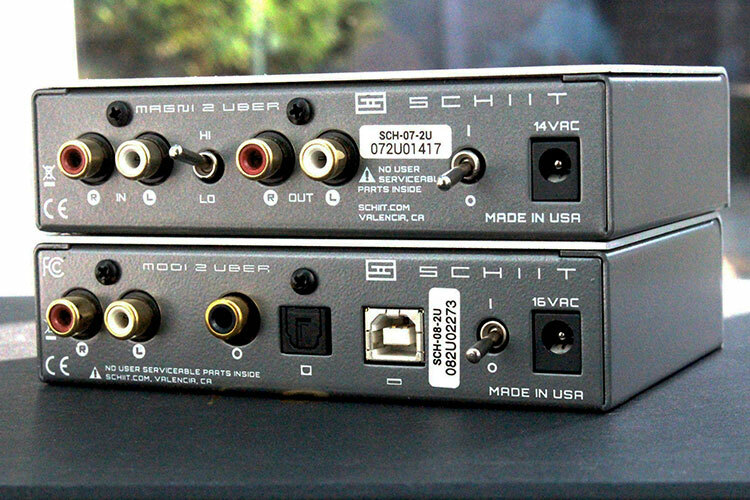 Headphones such as the Fostex TH500RP, however, can be natively run on the Schiit Magni without any use of adaptors. On the front panel of the Modi, there is a new input selection switch which toggles between a USB, optical and coaxial input. On the rear end of the Magni 2U, there are numerous features including stereo analogue RCA inputs and a pre-amp output stage which can be used to drive devices such as speakers. Next to this, is a low/high gain switch which can easily handle a wide range of headgear from highly sensitive IEMs to high impedance headphones. On the rear end of the Modi 2U, there is the standard USB input, a coaxial and optical input. Behind the aluminium chassis of the Magni 2U, there is a fully discrete FET/bipolar, class AB amplifier. As part of the Modi DAC, there is a sophisticated analogue section which supports files up to 192 kHz. Unlike many other ‘portable’ amps, the Schiit stack uses a wall-wart to supply clean access power to both the Modi and Magni combination. This makes it work as a desktop set-up which cannot be used for on-the-go performance. In some ways, this is great as there is no need to constantly be worried about devices running out charge but there is also the obvious disadvantage that the Schiit sound can’t really be obtained as a portable solution. The Schiit Magni 2U + Modi 2U are an obvious improvement from my stock ASUS laptop sound. What I immediately noticed from the sound was that tracks sounded more detailed, neutral and clear compared to an on-board soundcard. Unlike a handful of solid-states which dwell on producing a clinically unengaging sound, the Schiit stack offers neutrality in the midst of some warmth and engagement. In the meanwhile, there is no audible hiss or distortion to be deciphered which means that tracks present in an ultimately pitch-black background. Low frequencies are exquisitely portrayed with more heft, balance and texture than previously noted. The pairing with the new HiFiMAN HE-400S was just one example of this where the perceived bass-shy frequency range came to life with added details and presence. Though with the HE-400S being tuned the way it is, not even the Schiit stack could bring levels of impact to bass-head levels. One nifty feature that the Fiio Q1 had which the Schiit Magni missed out on was a bass boost option. Though this certainly helped to bring out the lower frequencies of the HE-400S, it did come at the compromise of a bit of picked up distortion. While a good idea on the Fiio Q1, the choice of a better and more refined implementation of the bass boost option on the Schiit Magni would certainly work a treat with bass-shy headphones. With the Fostex TH500RP headphones, bass appeared controlled and neutral with no inclination towards a boomy or recessed signature. Bass decays were moderately speedy and there was no perceptible lag when demanding drum & bass tracks were played. Akin to my initial impressions, the midrange fits nicely into a triad of masteries: neutral, spacious and detailed. Though it may seem that this would be a recipe for blandness, I can assure you that the Schiit stack tactfully evades this category for two reasons. Firstly, a degree of warmth is worked into the vocals which makes tracks seem smoother and more engaging without compromising the level of details. Secondly, the macro-dynamics of the Schiit combo is excellent as instruments are allowed to shine against a black background with superfluous levels of separation to make up a cohesive stereo image. Treble extends very well with decent air and sparkle. There is no sign of artificiality or peaks that would otherwise make the treble region seem less technically capable. Instead, treble is smooth without there being any notable roll-offs or lack of detailing. Compared to the recently released Fiio Q1, the Schiit Magni 2U + Modi 2U presents a much larger headroom with a fuller bodied midrange and bass line. Levels of detail are fairly similar though the Q1 retains more of an analytical sound with sharper and more defined leading edges. Both of these sources have great levels of transparency and micro-details are rendered in a forward and engaging fashion. Whereas the Fiio Q1 presents notes in a thinner and more striking arrangement, the Schiit combo works to add more air and staging to tracks which makes the latter seem more encompassing and hence more involving. In comparison to the similarly priced PlusSound Cloud Nine, the Schiit Magni 2U + Modi 2U definitely shows some difference in presentation of sound. For example, where the Cloud Nine softens the upper midrange and lower treble region of tracks, the Magni + Modi 2U reveals these two frequency ranges in a linear and more forward fashion. As a result, the Magni + Modi 2U is much more detailed whereas the PlusSound Cloud Nine leans more towards the musical spectrum. Overall, the Schiit combo wins out in my personal opinion for its more expansive soundstage with better intelligibility and contrasting. Having said that, the Cloud Nine is reminiscent of a tube amp sound with its softened gradients but does not necessarily have the best detailing to compete with the beasts. Overall, the Schiit Magni 2U and the Schiit Modi 2U are a mini-powerhouse that truly shatters the general price performance ratio by putting many higher models to shame. Having recently reviewed the Fiio Q1, I thought I would not find a DAC/Amp that would perform as well as it does for its price alone but the Schiit stack definitely challenges my initial thoughts. I was not only surprised by the levels of transparency but also the hi-fidelity sound that can be attained for only $300. 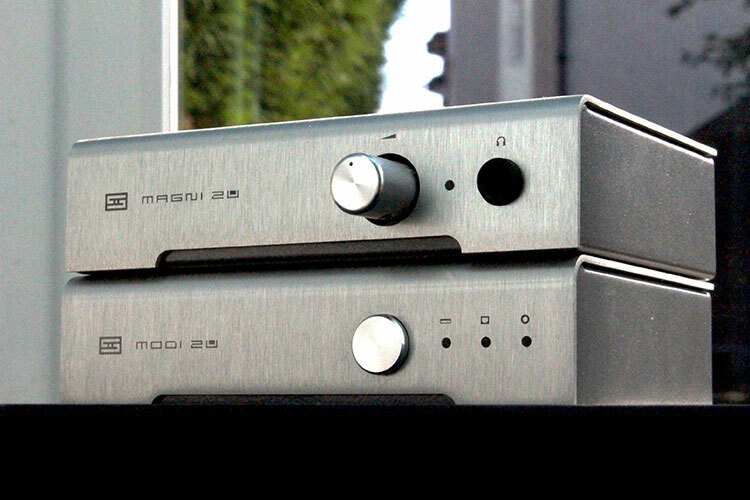 Coupled to this, the build quality of both the Schiit Magni 2U Amp and the Schiit Modi 2U DAC is simply outstanding with a well- implemented brushed aluminium chassis. Next to the polished looking PlusSound Cloud Nine amp, the Schiit stack looks decidedly classier with durability infused with functionality. A minor suggestion though, would be to include a gain switch on the front of Magni 2U for the purposes of easier accessibility. All in all then, I would highly recommend this neat little set-up for anyone wanting to achieve a hi-fi sound for a fraction of the price. The Amp module is bypassed by the K5 and you are using the X7 as a DAC with line out via the dock to the K5 amp. The schiit stack is excellent but I do like the additional features of the K5. Perhaps you can read our K5 review also and see what you think. Your alternative is to get the DK1 multifunction dock for the X7 and line out from the X7 top jack to the Schiit stack. The dock is just $20. How compared Fiio x3ii cs4398 vs modi 2? I have a Fiio x3ii as a source and was looking for use with magni 2 or vali 2 for home use. How compared Fiio x3ii cs4398 vs modi 2? I have a Fiio x3ii as a source and was looking for use with magni 2 or vali 2 for home. Hi, just a note, the quoted specs are not from uber version, but the normal Magni 2. In Schiit website has both specs for reference. Also a question, will this stack be suitable for HE-560 or LCD-2? I have a Fiio X5ii as a source and was looking for a desktop amp, this set looks nice, plus gives me more flexibility with the external dac. What do you think? It would be great to know how these compare the first generation Magni/Modi combo. Once again the guys at Schiit Audio knock it out of the park, and the stack doesn’t cost you an arm and a leg. C-Media CM6631A? Perhaps some Burr Brown’s or Wolfson’s? I’ve had this stack for almost a year now and love it. I’ve been using my entry level headphones, the Sennheiser 558s, but am looking to upgrade in a few months. 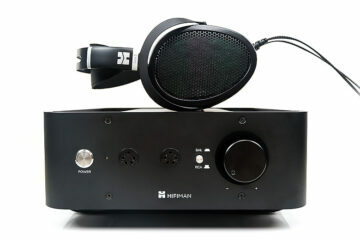 Do you think this combo will adequately drive the Hifiman 400i? The first editions sounded great with the 400i, I see no reason for the U edition mk2 to not sound as good. 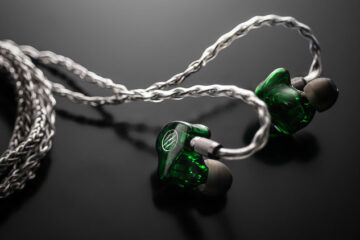 Any chance you can compare this to iBasso D14? That might be difficult unless Smit has a D14 unit at hand. 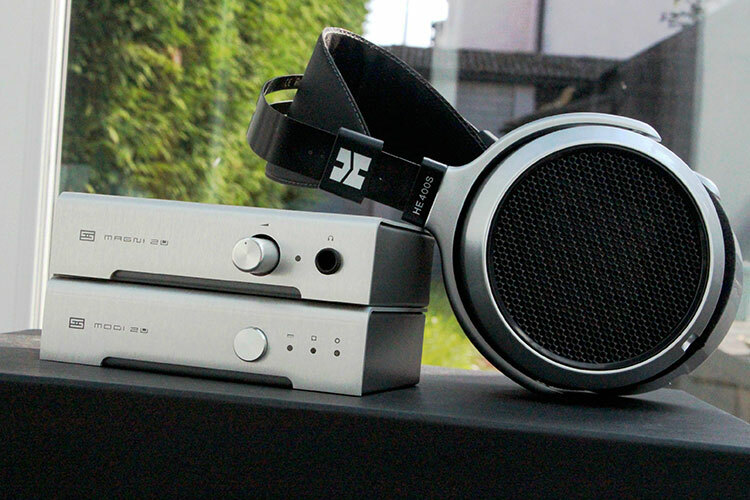 I actually did the review of the D14 but do not have those Schiit units. Hi, yes unfortunately I don’t have an iBasso D14 at hand to compare. Sorry!